Egret Landing, located in the heart of Jupiter Florida, is a family friendly neighborhood featuring single-family homes many with swimming pools ranging from three to six-bedroom floor plans. The grounds encompass interior waterways and lush tropical landscaping. The community features an oversize community pool and a beautiful clubhouse, seven tennis courts, a basketball court and a tot lot. 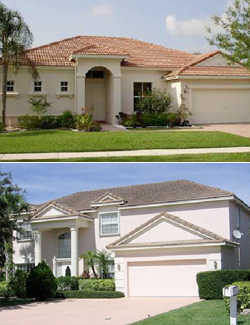 Great neighbors and families make this one of the premier communities in Jupiter Florida. Egret Landing is very popular with families due to it’s great school assignments and very kid friendly atmosphere. Real Estate in Egret Landing is a great investment in an area that combines privacy, luxury and family for a perfect place to call home! If you are looking to buy or sell a home in Egret Landing or any of the other great Jupiter area communities, please give Preferred Residential Properties a call at (561) 747-8987.